Late last year, we at Drink Spirits heralded the end of the flavored vodka boom, saying that Ivanabitch Tobacco Flavored Vodka was the “canary in the coal mine” for the category. Since that time we’ve seen flavored vodka lose much of its gusto in the marketplace with brands desperately scrambling to capture growth. 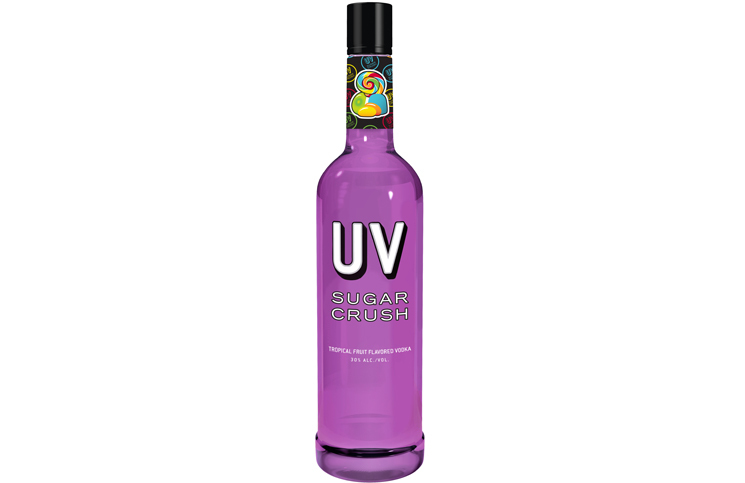 The general desperation in the flavored vodka space couldn’t be more clear than the release from Phillips Distilling Company of UV Sugar Crush Vodka. There’s a reason why there aren’t a lot of candy-themed spirits on the market: alcohol is supposed to be consumed by adults and marketed to adults, not children. 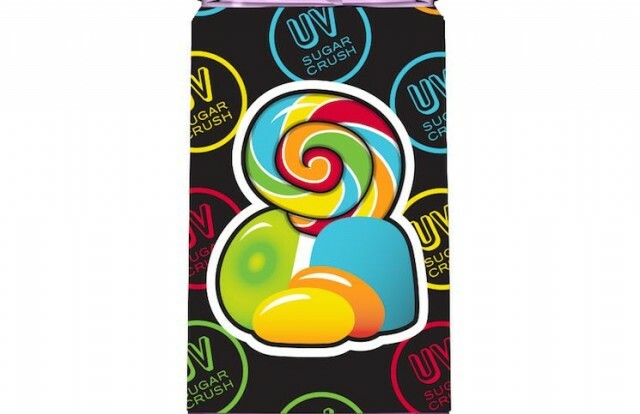 UV Candy Crush, with its cartoon-like pastel candy on the label, is clearly meant as a nod to the extremely popular and addictive mobile game Candy Crush Saga (again, something that’s widely played by kids). UV Sugar Crush Vodka isn’t the first to use candy imagery in their products – Pinnacle Vodka quietly changed their label and packaging for Pinnacle Gummy to Pinnacle Red Licorice after concerns were raised to parent company Jim Beam. Three Olives has also been a repeat offender with flavors like Loopy, Applejack, Bubble, and Dude all released in cartoony pastel designed bottles. The issue of marketing to under-age drinkers is a very serious one, and it’s one of the reasons that the Distilled Spirits Council Of The United States (DISCUS) exists. DISCUS is a voluntary membership organization that both lobbies on behalf of the alcohol industry (like getting more places to be able to sell alcohol on Sunday) and also helps self police it. Think of DISCUS very much like the MPAA, where movie producers look to police themselves with unified ratings rather than having the government come in and do it. Unlike the film industry where an un-rated movie has a tough task of finding theaters that will actually book un-rated films, companies that exist outside of DISCUS have no problem getting their products onto store shelves. The problem is, a company like Phillips Distilling Company is not a member of DISCUS, so DISCUS does nothing when they release something like UV Sugar Crush. Another stopgap in this whole process is the Alcohol and Tobacco Tax and Trade Bureau (TTB). It’s the TTB’s job to approve labels and enforce the myriad alcohol related laws, rules, and regulations that exist in the United States. The TTB has been known to throw down with small distillers over what they can call their products (saying things like Ginger Rum must be “Rum with Ginger Flavor” and Cachaca must be called Brazilian Rum). 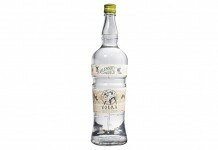 It’s beyond perplexing why the TTB has rubber-stamped these vodkas that are so clearly appealing to under-age drinkers. In the case of UV Sugar Crush Vodka, the argument against approving it is so bonehead clear even a child could understand it. Children under the age of 21 are the biggest consumers of confectionary sweets in the US and approximately 35% of Candy Crush Saga’s players are between the ages of 13-25. Even if the TTB couldn’t stop something so clearly aimed at young drinkers, DISCUS should have used the power of their consortium of brands to advocate against non-member brands releasing spirits which are so clearly youth focused (instead of just piping up when there’s a study that says binge drinking is bad). Compare this to the UK, which has the alcohol standards agency The Portman Group. The Portman Group recently took Pernod to task because the text on the back of the bottle says “spiritueux anise”, and they didn’t feel it was clear enough labeling for UK consumers. 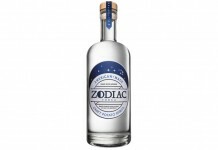 The Portman Group issued a Retailer Alert instructing retailers not to order stock of this Pernod after September, and even though they disagreed, Pernod Ricard is changing their packaging for Pernod to comply. This very tight control over alcohol marketing in the UK is what is supposed to exist in the US, but between the TTB’s inconsistent and quixotic enforcement of the rules and DISCUS’s laissez faire attitude to non-member infractions we get things on the market like UV Sugar Crush, which is inarguably a clear violation of responsible alcohol marketing rules. Perhaps the bigger issue here is the marketplace: over the past few years, consumers have turned to flavored vodka in droves. When so many adults are flocking to cupcake, chocolate, whipped cream, salted caramel, and other liquid confectionary flavors, it’s hard for brands not to try to cover every corner of the sweets’ space. Instead of trying to chase the customer, liquor brands have an incredible opportunity to lead and educate them. Alcohol is an adult beverage, and with a little education and empowerment even the most inexperienced adult drinker can transform a base spirit like vodka into something that’s lovely, easy, and delicious, like the Moscow Mule. By standing up and saying things like UV Sugar Crush Vodka are not okay, DISCUS and the member brands send a message to consumers that perhaps all these kid-friendly flavored vodkas aren’t something that should be on store shelves. If adults stop buying them, liquor companies will stop making them. Perhaps the most horrifying aspect of these candy flavored vodkas is the fact that younger children don’t realize that these beverages aren’t for them. There’s a clear danger that children will mistake a bottle with cartoon candy labeled “Sugar Crush” on the home bar or in the refrigerator as something they can safely consume. If the TTB and DISCUS won’t do their job, we will. UV Sugar Crush Vodka is not okay. You shouldn’t buy it, and you should tell your friends not to buy it. 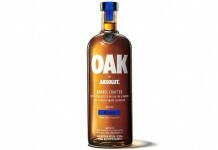 You should ask your local liquor store not to carry it or other candy flavored vodkas. You should ask your local bar why they chose to carry it and ask them not to.I f you own a liquor store or a bar, you shouldn’t stock it. Enough people making even the smallest noise here will make a major impact in a space where change is sorely needed. If you want your voice to be heard, here’s the contact info for the TTB and you can contact DISCUS via this form. Your voice matters, so be heard.